What is Lumina and why is it different? Lumina Spark is an innovative psychometric test and professional development tool which supports individuals, legal teams and businesses to work more effectively and improve the bottom line. Based on the latest Big Five research paradigm, Lumina Spark doesn’t label people, it measures the level to which an individual has competing and contradictory qualities; i.e. their level of introversion and extraversion. 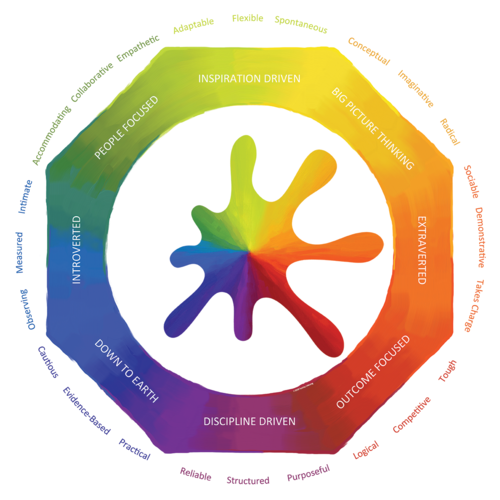 By measuring 24 qualities in continuum, Lumina Spark assesses what an individual does naturally, everyday and under pressure, known as the three personas. After completing a detailed questionnaire, users will receive a practical, colourful and pragmatic portrait which is tailored to their behaviours. A simple, memorable report creates measurable goals enabling users to proactively monitor their development and progress.